The NC State College of Veterinary Medicine is dedicated to providing outstanding training residents. In addition to exposure to a large caseload, residency programs offer opportunities to attend in-house rounds, seminars, and conferences, to teach fourth-year veterinary students and to participate in clinical or basic research projects. Residency programs are typically three years in length and offer opportunities to obtain specialty training under the supervision of experienced, board-certified faculty members. All programs conform to the guidelines established by the relevant specialty colleges and are designed to prepare residents for specialty board certification and a career in private or academic specialty practice. For most of the programs, candidates will be selected through the American Association of Veterinary Clinicians (AAVC) VIRMP (MATCH) Program. They must be graduates of a college of veterinary medicine and have a previous history of documented academic excellence. Committee decisions will be based on academic performance while enrolled in a college of veterinary medicine, letters of recommendation, professional experience, and the perceived ability of the individual to complement the needs of our training program. 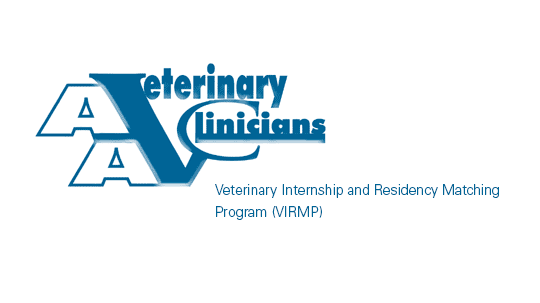 The following residencies do not participate in VIRMP and have separate application procedures: Anatomic Pathology, Clinical Pathology, Clinical Pharmacology, Clinical Veterinary Pharmacy, Dermatology, Ophthalmology, Poultry Health.